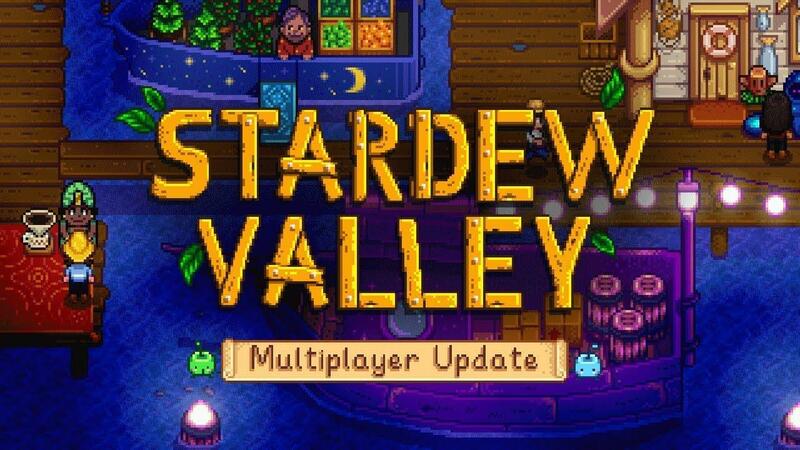 Time to bring a friend to help you grow some crops, as the big Stardew Valley 1.3 multiplayer update is now out. The developer, ConcernedApe, had a lot of help with this release. While they worked on additional content, Tom Coxon of Chucklefish (Starbound) wrote the networking code and it turned out to be quite a complex job. Multiplayer isn't the only addition, as mentioned previously there's also quite a bit of new content. There's a new travelling festival that comes to town, which happens for three days in Winter that gives you a chance to grab some unique stuff. You can also go through a secret event during the Winter, which gives you the option to start a new secret collection. New character events, 3 new monster types in the Skull Cavern along with special teasure rooms and something mysterious making it worth going deep…there's plenty more and you can find the full details on what's new here. Grab a copy from: Humble Store, GOG and Steam. I'm hoping for a sale to pick this up on GOG. Someone has been working on experimental Galaxy integration for Linux multiplayer. I've made a snap, but haven't been able to test it yet. https://www.gog.com/forum/general/comet_galaxy_client_for_linux/post29 . mcphail I'm hoping for a sale to pick this up on GOG. Someone has been working on experimental Galaxy integration for Linux multiplayer. I've made a snap, but haven't been able to test it yet. https://www.gog.com/forum/general/comet_galaxy_client_for_linux/post29 . Really cool the community is doing all that. What i found more interesting , though off-topic , someone mentioned porting it to BSD. That's wow. Hopefully this means most of the bugs have been squashed if they're comfortable putting it out publicly. Not that I've encountered many; in over a year's time in-game a friend and I only had freezes or crashes maybe three times, plus a few non-serious visual and audio glitches.